With Rudy Fernandez being named the Euroleague MVP for February, he will be hoping to lead his team to a win, which would be their fourth win in a row. 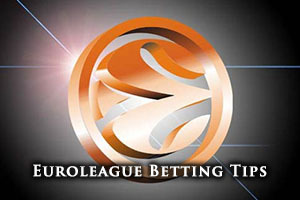 The Turkish side have an ex Madrid player in their ranks, Marty Pocius, who will be keen to defeat his former team, and there is plenty of spice in this match for Euroleague betting fans to look out for. While Madrid are looking for a fourth straight win, Galatasaray have lost five games in a row and they know they face an extremely tough challenge in this one. It is fair to say that the Turkish side are at their best when they play at home but they will need a massive win to get back on track. Galatasaray have a 6-12 record in the Euroleague so far this campaign, which includes a 4-6 record in the regular season and a 2-6 record in the Top 16. This is definitely a game that they need to win fi they are going to maintain their hopes of progressing in Europe this season. Real Madrid can boast of a 15-3 record in the Euroleagus this season, holding an 8-2 record in their regular season while serving up a 7-1 record so far in the Top 16. For average points scored, the Turkish side have provided an average of 77.7 points per game while the Spanish side have served up an average of 86.8 points per game this campaign. Zoran Erceg is the key player for Galatasaray with an average of 16.1 points per game so far in the Euroleague campaign. Kerem Gonlum has helped with an average of 4.6 rebounds per game while Gustavo Ayon has offered up an average of 4.3 assists per game for the Turkish side. Felipe Reyes has been in sparkling form for the team from Madrid, offering up an average of 12 points while also providing an average of 6.2 rebounds per game in the Euroleague this season. Sergio Llull has also been a key player, offering an average of 5.3 assists per game this campaign. Galatasaray are in sixth place in the Euroleague this season with an 11-9 record, which is a very poor return for the side. Their most recent domestic game took place on Sunday and it was a 77-75 away loss to Anadolu Efes. Real Madrid are in second place in Spain, sitting with an 18-4 record, one spot behind Unicaja who have a 19-3 record. 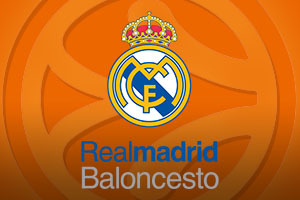 Real’s most recent domestic game was on Sunday, defeating Iberostar Te 94-85. The home side will be firing for this one but there is something about Real Madrid that comes alive at this time of the season. Taking the Spanish side with a -10.5 handicap, at odds of 1.90, is likely to be a safe bet for Friday night betting action. Both of these teams can score highly so if you are keen to get involved with the Over/Under market, you will find that going Over 161.5, at odds of 1.90, is an interesting bet. These bets can be found at Bet365, one of the leading places for Euroleague basketball betting, but you’r advised to also take a look at odds from other betting sites. Bet Now!